You can see from the image below how a level 1 house will gain approx 250 influence points in comparison to a level 3 earning approx 1500 influence points. The influence can also raise to well over 2000 if other builds are around. HOW MUCH DOES THIS MEGA TRADE CENTER COST? 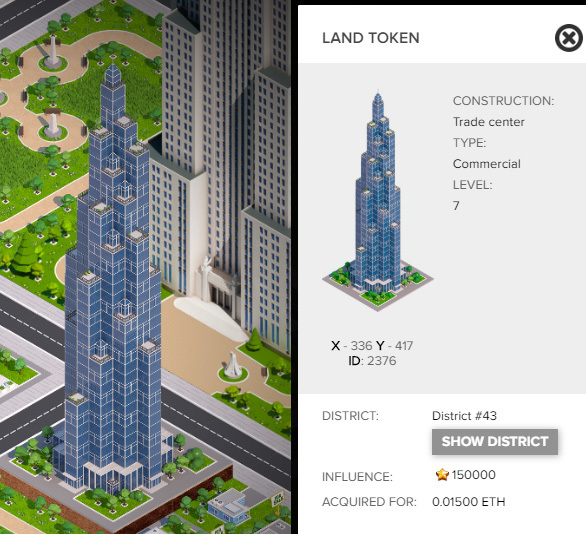 So in a 50% tax district, 1.25 Ethereum to Upgrade to the Mega!! 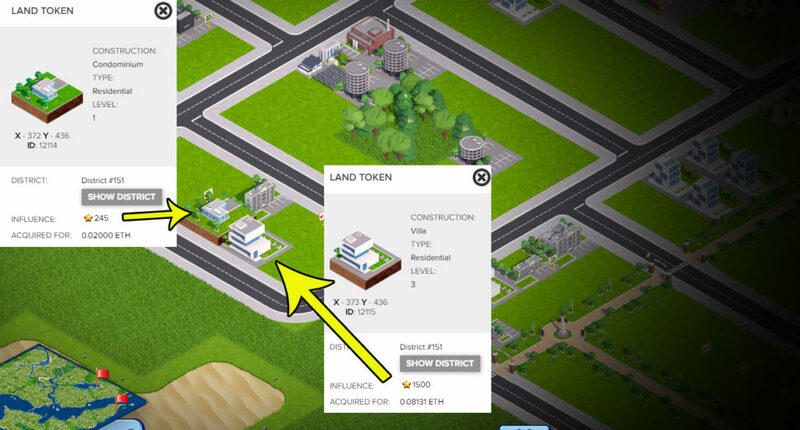 It would make sense to build and then upgrade your already purchased plots to gain the maximum influence possible from these already purchased plots. 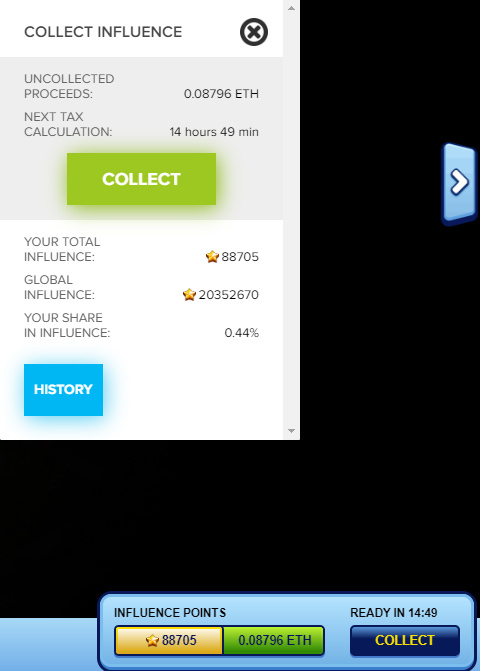 You can see below my last income payment of 0.08796 with just 0.44% of global influence, or 88705 influence points. An average Megabuilding would bring you this influence.